Living… for the prospect of leaving home. Meadow will be off to college soon, and she’s desperate to get into Berkeley so that she can move across the country, far away from her odd family life in Northern New Jersey. Her dad Tony officially works in waste management, but everybody in town seems to know that he’s really a Mafia boss. Profession… student. Meadow is dedicated to her studies and her extracurricular activities, so much so that she sometimes finds she needs a bit of extra stimulation from amphetamines in order to get through her long days. Relationship Status… single. For now, Meadow is very cagey about her relationships with boys. Her parents suspect that she may have some romantic interests, but Meadow generally remains tight-lipped about her romantic escapades. Part of that is likely standard-issue teen secrecy, but part is that Meadow likely knows what her sometimes violent dad might do to a boyfriend he didn’t approve of. Personality… charming, bright, and sometimes moody. In other words, that of a typical American teenage girl, even with her somewhat unusual upbringing. While very smart, Meadow is quite capable of lying and cheating, much like her father. “Sometimes we’re all hypocrites,” she tells Tony. 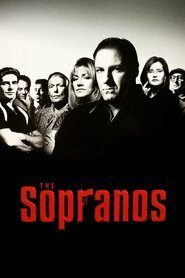 Meadow Soprano's popularity ranking on CharacTour is #3023 out of 5,000+ characters. See our top-ranked characters and read their profiles.